Wickenburg is a small in Arizona, in the heart of the Sonoran Desert, where people go when they want to experience the authentic Wild West. A walk through town is a trip into the past, with historic, now renovated saloons, shops and hotels, the notorious Jail Tree, a dude ranch, a ghost town, and an abandoned mine. The Desert Caballeros Western Museum is a fascinating small museum in Wickenburg that brings alive the regional Western heritage through a series of displays and exhibits as well as fascinating true stories of explorers, settlers, cowboys, miners, and other adventurers who lived and worked in the 19th century American West. In the basement, there is a recreation of early 1900s Wickenburg with a store, saloon, and a hotel as well as furniture, oral histories, and dioramas. The museum, which was founded in 1960, combines the history with the town’s love for the arts, bringing together historic artifacts in a world-class art collection. 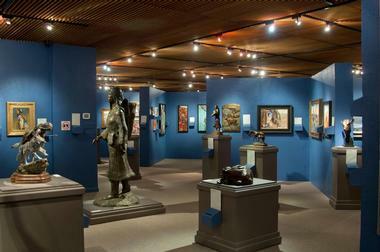 The museum is renowned for its creative programs and exhibitions. Visit this wonderful little museum and discover the Old West and the Next West. The Hassayampa River Preserve is a 770-acre nature reserve near Wickenburg, Arizona, that is owned and managed by the Nature Conservancy. The preserve is located deep in the Sonoran Desert, protecting the area of the Hassayampa River, which contains flowing water year round. The Sonoran Desert contains cottonwood-willow forest, one of the rarest and most threatened kinds of riparian environments. The Hassayampa River Preserve is home to more than 280 species of birds and a large number of raptors, such as the zone-tailed hawk, the Harris hawk, and the black hawk. Trails through the Hassayampa are self-guided, running along lush river edges, across the vibrant river’s floodplain, and through ancient majestic cottonwood-willow forests and dense forests of mesquite. 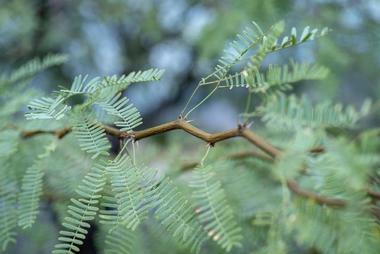 One nice trail loops around Palm Lake, where you can spot waterfowl, not common in the desert. Less than an hour’s drive from Phoenix, near Wickenburg, the Vulture Peak Hiking Trail is a 3.8-mile loop trail that runs through the Sonoran Desert, among ocotillo, saguaro barrel, cholla, and hedgehog cactus and other desert vegetation. 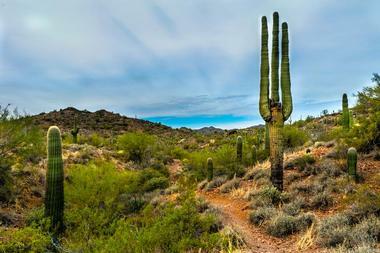 Moderately difficult, the trail starts flat and easy, running through small forests of teddy bear cactus. After about a mile, the hike climbs up to the saddle, which is a bit more challenging, with a few switchbacks. The views from the saddleback are spectacular. You can reach the peak from the saddleback by climbing about 250 feet on an unmaintained, steep trail, but the view you will enjoy at the top is 360 degrees and out of this world, encompassing the entire desert and surrounding mountain ranges. Sign your name in the book provided by the Wickenburg Chamber of Commerce. What was once the Nella-Meda gold mining camp is today Western Destination’s Robson’s Ranch and Mining Camp, one of the best preserved and oldest mining claims in Arizona and a comfortable hotel where visitors can get immersed in the living history of the Arizona’s western frontier and try to imagine the lives of the early explorers and adventurers. 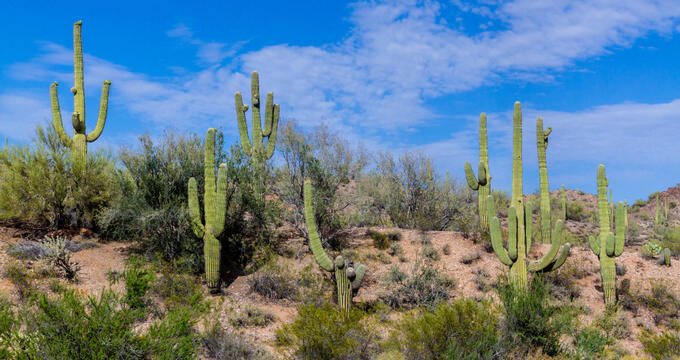 Only 20 miles from Wickenburg, this fascinating historic site and hotel is surrounded by a “desert forest,” one of the largest forests of saguaro cactus in Arizona. 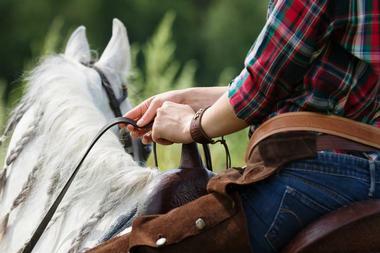 Robson’s Ranch offers guided tours of the property, on foot, in a Jeep, or on a horseback. Visitors can see a real, beautifully preserved mining town as well as an old Native American campsite, an old stage stop, and some beautiful Yavapai apache petroglyphs. Established in 2001, The Del E. Webb Center for the Performing Arts is a state-of-the-art theater dedicated to enriching the cultural and educational experience of Wickenburg and the surrounding areas. 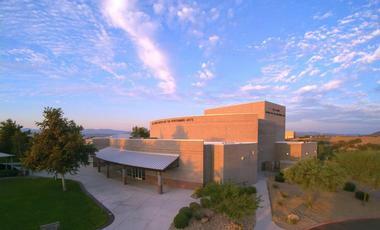 Built in 2000 as a part of the Wickenburg High School campus, the theater can accommodate 600 people and operates as a joint effort between the Wickenburg Unified School District, the Wickenburg Foundation for the Performing Arts, and a group of local arts supporters. The Webb Center had its first season in the fall of 2001. Since then, it has developed a diverse and successful program of work that includes public theater performances, live music concerts, ballet performances, educational outreach activities, after-school classes, artist-in-residency programs, and a summer arts camp. The Vulture Mine is an abandoned gold mine located near the once thriving settlement of Vulture City. The settlement was established in 1866 in the picturesque Sonoran Desert in Arizona and is considered a precursor of today’s Wickenburg. The settlement was developed to accommodate the miners and other workers in what was at that time Arizona's most successful gold mine. At one time, Vulture City had 5,000 residents. After producing 340,000 ounces of gold from 1863 to 1942, the mine was quickly exhausted and the War Production Board closed it in 1942. 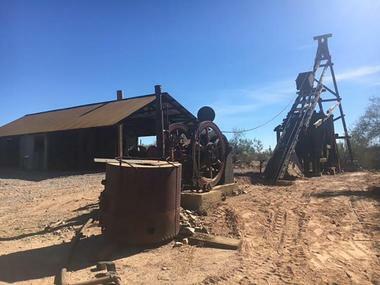 Today, fascinating tours of this once thriving settlement and mine offer a glimpse of the life and culture of mining communities in the American Southwest in the late 19th century. Visitors have a chance to explore a number of nicely restored buildings and imagine how it all once looked with 5,000 people milling around. At the corner of Tegner St. and Wickenburg Way in Wickenburg there is a 200-year-old mesquite tree that once served as the town jail. At its early days, in the mid-19th century, Wickenburg was a rough Wild West town. Its colorful population consisted of gold-obsessed miners, angry Native Americans, Wild West gunslingers, and all sorts of outlaws. According to local lore, Wickenburg did not have a jail for its lawbreakers until 1890, and the criminals were just chained to the Jail Tree until they could be transported to a real jail in Phoenix. To enforce this legend, artist Seward Johnson made a life-sized sculpture of a sad cowboy, wearing typical convict stripes, sitting dejectedly on the ground with one ankle chained to the tree. If you would like to learn more about the city’s past and the Jail Tree, visit the Wickenburg Chamber of Commerce in the Old Train Depot. 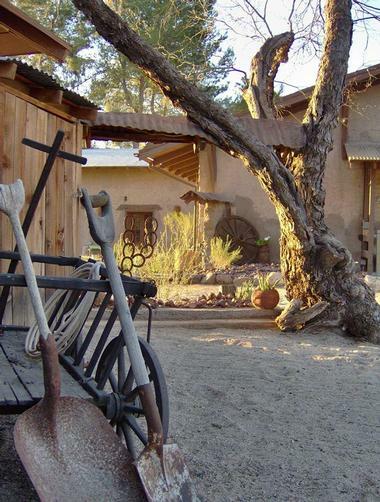 Kay El Bar is a historic guest ranch about an hour from Phoenix, on the banks of the Hassaymapa River, in the foothills of the Bradshaw Mountains on the outskirts of the historic Old West town of Wickenburg. 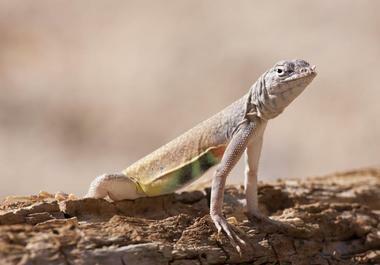 Kay El Bar Guest Ranch offers a fascinating vacation experience that brings to life Arizona’s Wild West days. The stay at the ranch includes lodging, meals, and a range of exciting activities such as horseback riding through the spectacular Sonoran Desert. The authentic adobe ranch was built in the late 1800s as a cattle ranch, and its adobe walls were made of 18-inch-thick sun-dried bricks made by the Maricopa Native Americans, who lived nearby. This beautifully renovated historic dude ranch offers its guests all modern amenities such as luxury bathrooms, a swimming pool, and a spa. With its fascinating past full of colorful characters, outlaws, and adventurers, Wickenburg has its share of ghost stories and spooky places. Madam Mariah leads very special tours on her Ghost Coaster or Doom Buggy, sharing with the visitors stories, lore, and legends about the historic spots you will be passing by and characters that lived in the city when the streets were teeming with miners obsessed with gold, swaggering cowboys, and reckless adventurers. You might see some ghosts, or not, but you will surely learn more about this fascinating historic city and the people that built it. Local Press is a quaint little sandwich spot on Wickenburg’s main street where visitors and locals come for delicious, fresh sandwiches. The tiny place has a few picnic tables outside in the shade, where you can relax, cool off after your adventures, and enjoy one of their gourmet paninis or cold sandwiches, a cup of home-made soup, and a glass of juice or a funky soda. No alcohol is served. They pride themselves on fresh, high quality ingredients and interesting combinations. You might want to try their best-selling Gobbler with roasted turkey, apples, bacon, brie cheese, and honey/chipotle dressing on sourdough bread. 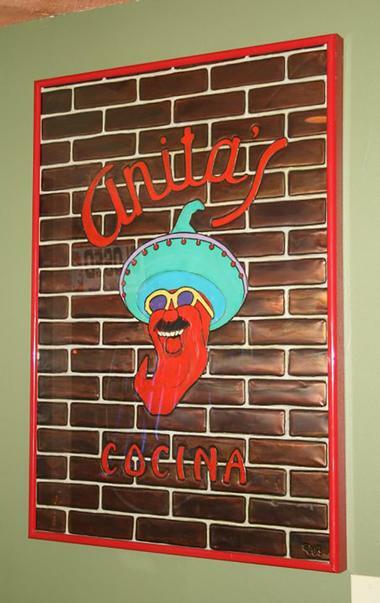 Located in the heart of historic Wickenburg, Anita’s Cocina is a family-owned Mexican restaurant famous for its quirky Western decor, classic Mexican dishes, and fantastic margaritas. The restaurant has been Wickenburg’s favorite place for Mexican food since 1986. What started as a tiny spot with ten tables and a walk-up window grew into a modern restaurant, but with the same traditional family recipes and a pride in fresh, high quality ingredients. The extensive menu has everything you would expect in Mexican restaurants, plus some of the owners’ secrets such as a fantastic chimichanga-tortilla stuffed with meat and the deep fried, topped with lettuce, tomato, sour cream, cheese, black olives, and guacamole. It is so big that you might want to order only half. Anita’s has a nice selection of American and Mexican beers, but they are famous for their margaritas. 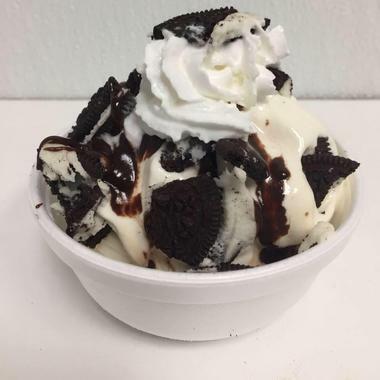 Bright and cheerful and located in La Siesta Plaza in downtown Wickenburg, Chaparral Homemade Ice Cream is a popular local spot for indulging in a sweet tooth. This charming mom-and-pop ice cream parlor and coffee shop offers a large range of home-made ice creams with new flavors coming up every day. They also have shakes, malts, ice cream sodas, sundaes, hot fudge, and brownies, and that is only the sweet side. They also have whole-day breakfasts, imaginative sandwiches, hot soups, salads, premium hot dogs, and much more. 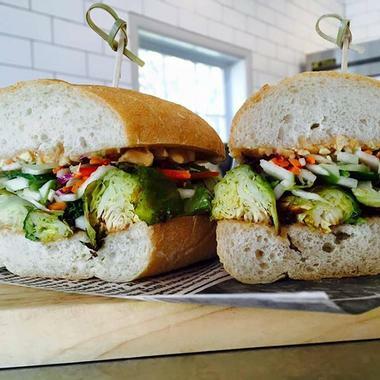 What you eat first – dessert or sandwiches – is entirely up to you. They also have a private room for small celebrations and parties. 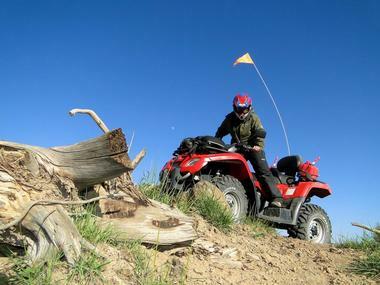 If you are visiting Wickenburg and are looking for something more challenging than regular old tours, let Adventures of a Lifetime take you through the surrounding desert in a desert-equipped ATV or UTV to explore real ghost towns and abandoned gold mines, drive through canyons, and climb mountaintops. 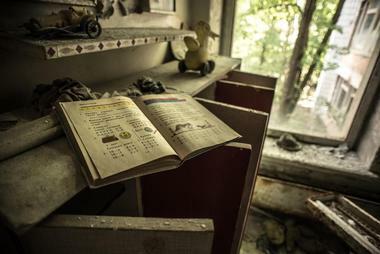 You will see some amazing places you might have missed on your own. This family-run business specializes in small-group adventures in the Sonoran Desert in their open-air customized four passenger desert Rhinos, promising the adventure of a lifetime in this remote, ancient, and wonderful world. There is a range of tours to choose from: Crown King, Box Canyon, Gold Rush, Sunset Tours, Wickenburg Massacre, and Vulture Pass.